For some extra romantic wedding photo ideas, check out this post, 5 Romantic Wedding Photo Ideas That Will Really Turn up the Heat!, but no matter which kinds of photos you ultimately decide you want, there are few more memorable than the kiss pictures. 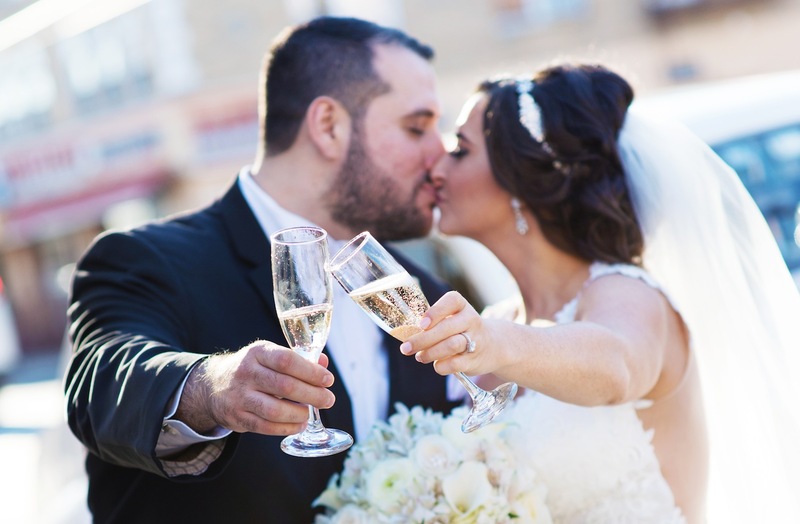 Take it from us as longtime NY and NJ wedding photographers, whether it’s a quick smooch during your reception or the big dip and kiss at the altar, there’s just something about these expressions of love when you see them in pictures! So, read on for a few ideas besides the basics. Get creative with your watchers. We’ve all seen the photos of the newlyweds or newlyweds-to-be kissing while their family, friends, and/or wedding party look on. It always makes for an awesome shot, but now couples are getting a little more creative with how they set it up. So, rather than just standing in the middle of the traditional line-up and smooching with your partner while everyone turns their heads to get a look, you may want to consider having your “watchers” or yourselves in different positions. 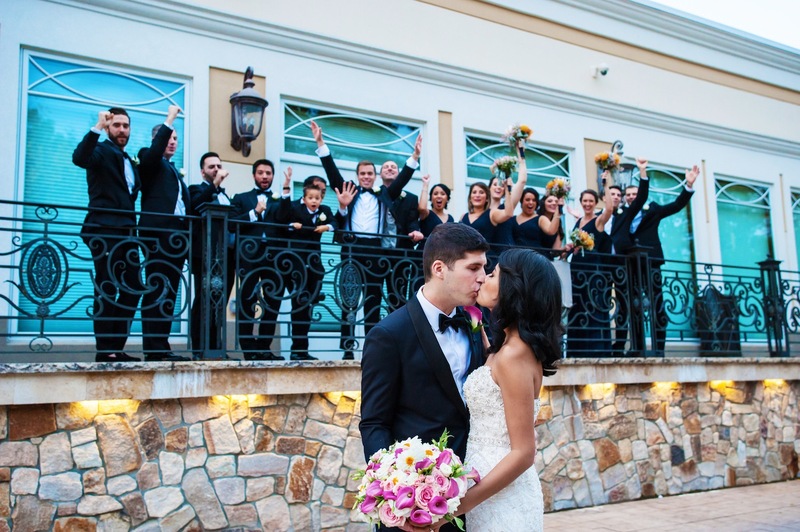 Perhaps you two could stand outside a window while your bridesmaids and groomsmen watch from the inside, or maybe you and your partner could be positioned on a tier lower than the rest as they look down on you. However you do it, the point is that there’s plenty of room to get more creative with how you set up your guests-watching-us-kiss photo(s). It doesn’t have to be on the lips. No, we’re not talking about anything dirty here. 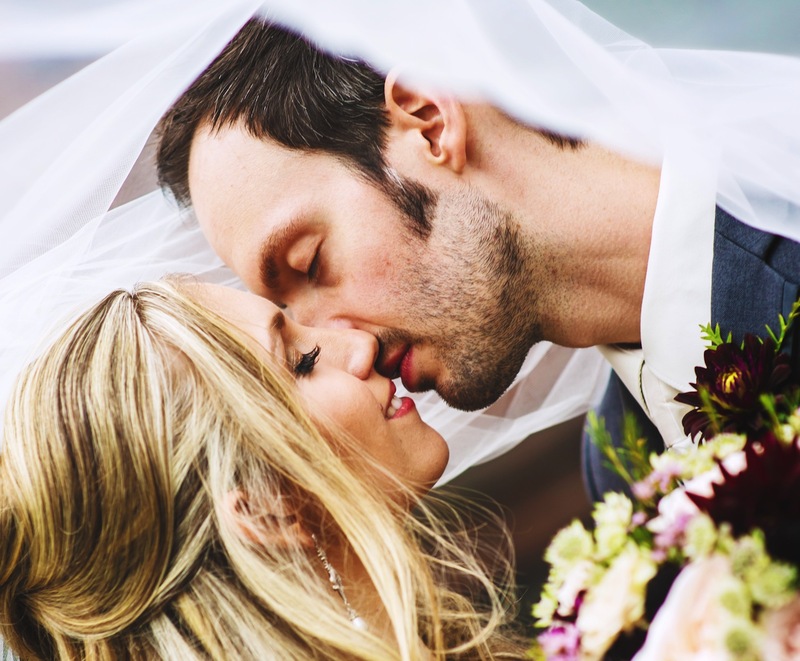 All we’re saying is that for a wedding kiss photo to be effective, the kiss doesn’t necessarily have to involve the joining of your and your partner’s lips. 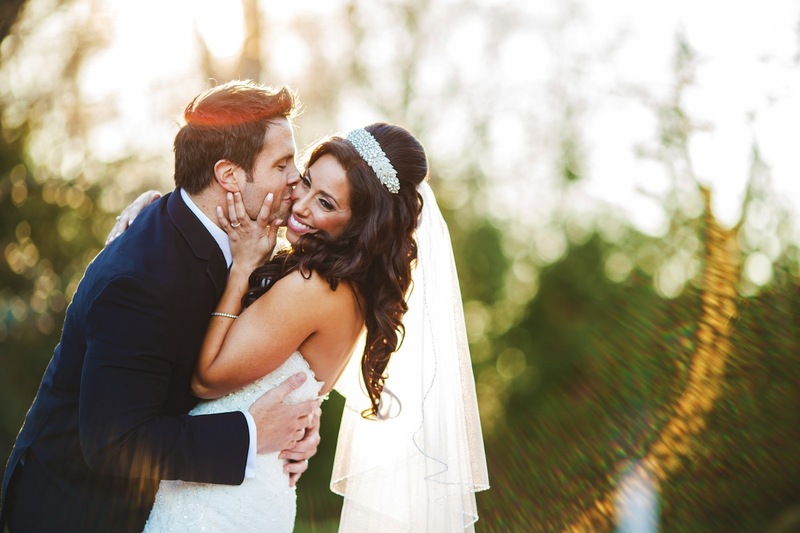 In fact, we’ve been in wedding photography in NY and NJ for a long time now and a peck on the forehead often makes for one of the most romantic additions to any album. There’s just something about the gentle nature of that kind of smooch that makes for beautiful moments, and photographs. Almost kissing is just as good as actually locking lips. Now, this one kind of breaks the rules, but it’s so often such a gorgeous photo that it has to be mentioned. Yes, the actual kiss is one thing, but you may be surprised how powerful a picture of the moments just before the kiss can be. These kinds of shots can be even more immersive than a kissing shot because there’s an anticipation factor. It’s not that people don’t now what comes next. Of course they do, but that’s the whole point. They’ve seen a kiss a million times, but this shot showcases the emotions leading up to it, and there’s a unique effect in getting to see those emotional moments preceding the smooch. 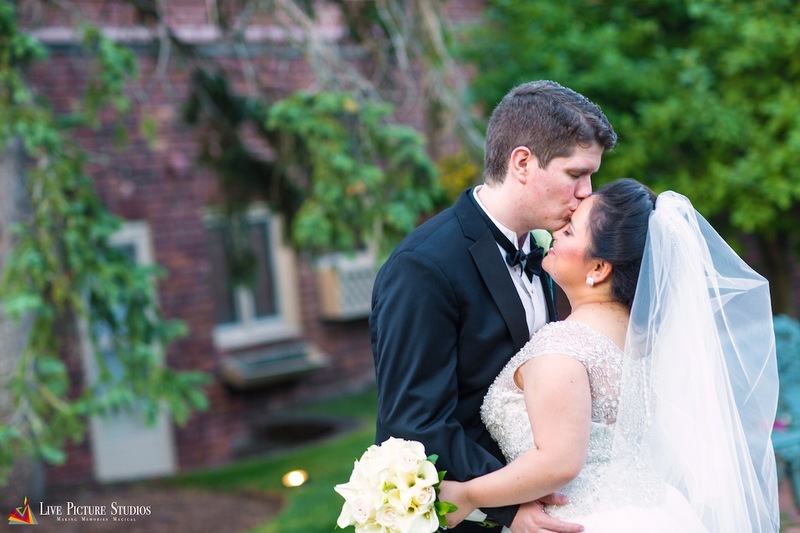 The kiss doesn’t have to be the focus of every kiss wedding photo. Okay, so this idea, unlike the last, does involve an actual kiss, but it’s all about putting the focus on something else in the shot. 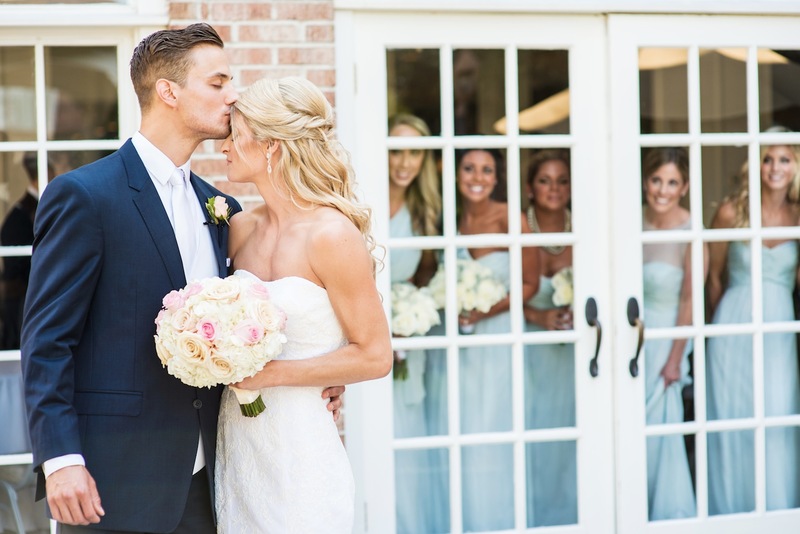 So, why would you want to take the focus away from the kiss in a wedding photo meant to highlight just that? Well, you may not think so, but keeping something else sharp in the photo while the kiss itself remains in soft focus can actually give the kiss, and the overall photo, an entirely different yet equally powerful impact. There’s something organically eternal about the kisses in these types of shots, as if they’ve been frozen in time, and that makes for awesome wedding photos. Capturing a romantic kiss is one thing, but we absolutely love when the couple or those watching their smooch celebrate the moment as it unravels. It is a wedding, after all, which is a celebration of love itself. So, it’s only fitting to celebrate the kisses that are meant to express that love.